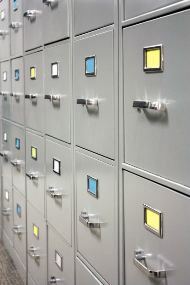 Confidentiality is our number one consideration in all of our business dealings. We neither divulge information about our candidates nor our clients unless specifically authorized. Thurmond & Company, Inc is committed to confidentiality and protecting your privacy. This Privacy Statement outlines how information is gathered and used. Thurmond & Company is an executive search firm located in Asheville, North Carolina and operates domestically throughout the United States. Candidate information is directed to our recruiters who analyze this data and determine whether the registrant is suitable for current or future job openings. Our recruiters are dedicated to building relationships with, and placing, the best candidates. We may use personal information that we have collected concerning candidates to identify professional opportunities that we think may be of interest. We may contact potential candidates from time to time regarding such opportunities. We provide personal information regarding candidates to prospective employers only with express permission from our candidates, in order to fulfill search requests from our clients. All client communication regarding candidates is kept solely within the company. Clients do not contact our candidates directly for references or other correspondence. We collect personal information during the course of the various Search Services that we provide, and we may collect the following personal information: name, address, telephone number, e-mail address, years of experience, professional background, information from former employers and other references, and any other information relating to you, to the extent we have acquired or you have provided us with. The information acquired through candidate registration is only that which is pertinent in determining whether you are an appropriate match for our clients. We may contact individuals from time to time to solicit names of or other personal information regarding potential candidates in connection with a search that we are conducting. We collect personal information pertaining to our clients, including business contact information, and retain and use such information in providing our Search Services. We may contact you from time to time regarding your needs and the services that we provide. We may contact you from time to time to ensure that the personal information we have collected about you is accurate and current. If you contact us by e-mail or through our website, we may keep a record of your contact information and correspondence, and we may use any contact information you provide in your message to respond to your inquiry. Your information will not be shared with other recruiters or organizations outside of Thurmond & Company. Any information provided through Thurmondco.com is strictly confidential and intended for the sole use of Thurmond & Company recruiters working toward our candidates’ job placement and to ensure the growth of our established clients.